Today is G for German Whisky. 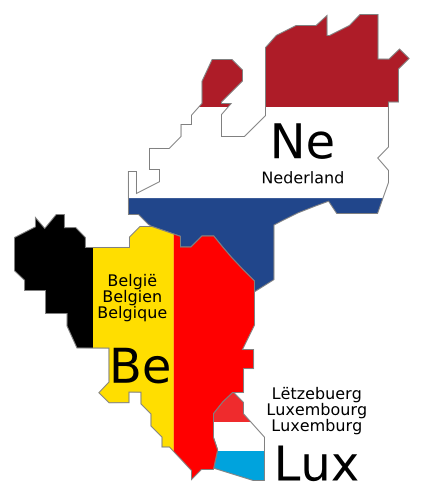 Germany is not a country usually associated with whisky manufacture. They do love their whiskies however – and it is one of the top export countries for both Irish whiskey and Scottish whisky companies. 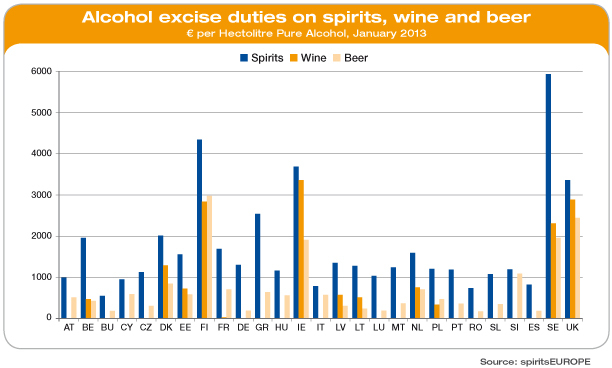 Germany also has a long tradition of distilling – mainly schnapps – but is increasingly turning to whisky. 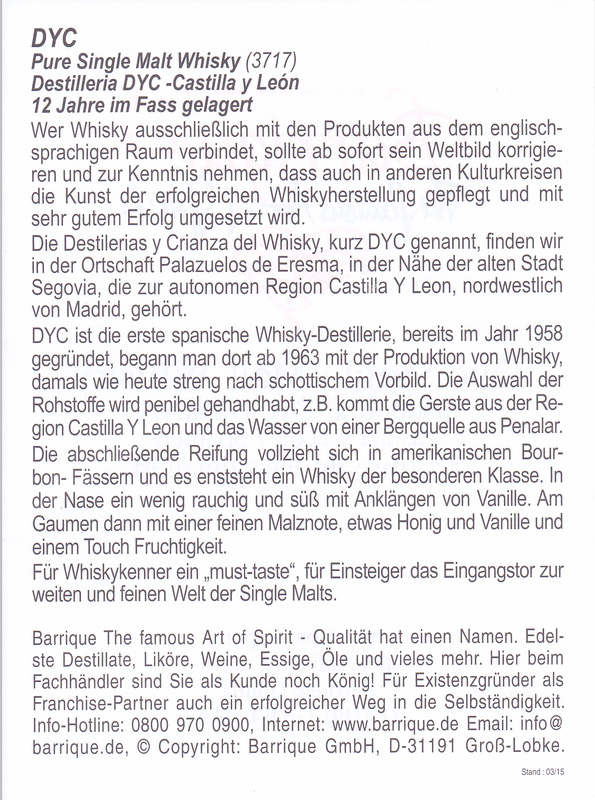 Germany – shockingly – according to my research – has more whisky distilleries at 250 than Scotland with 115! Sometimes it comes down to numbers. 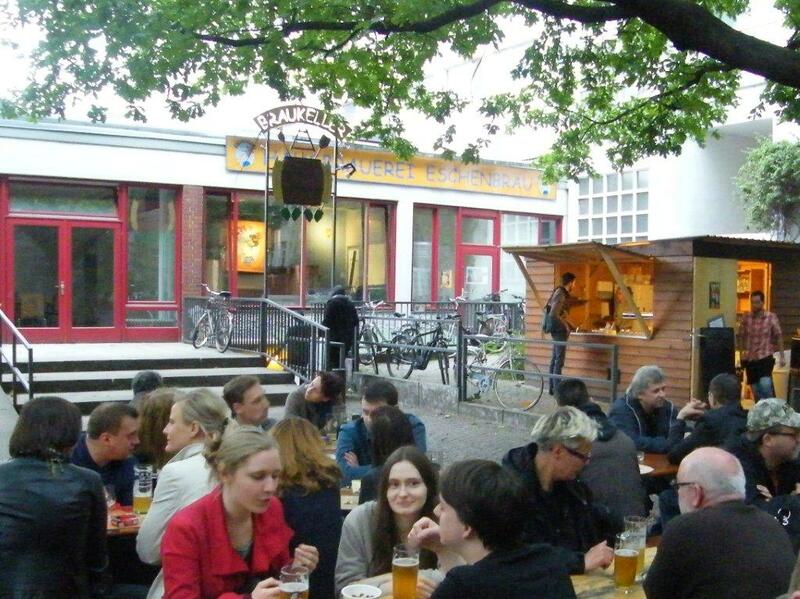 So when a friend invited us over to Berlin last weekend – I made it my goal to sample some of the expressions emanating from these German distilleries – I must say – I was very impressed! 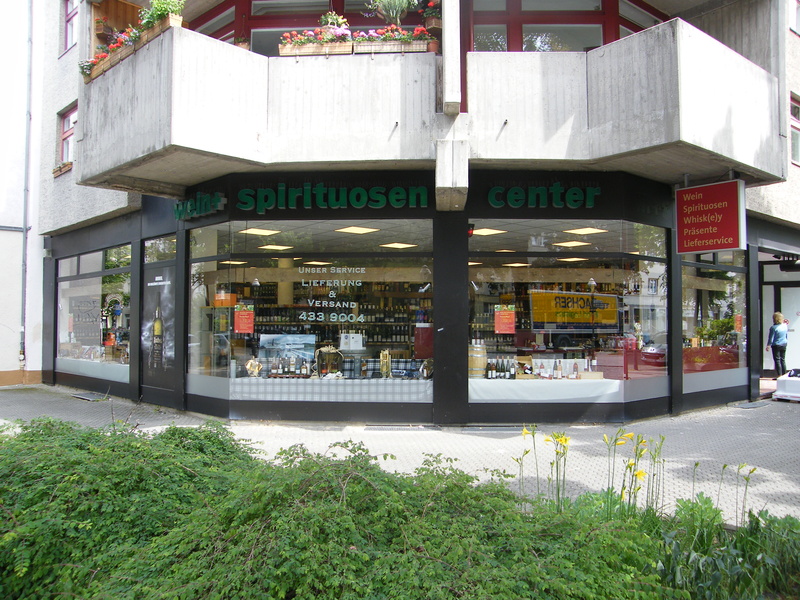 My first port of call was to the very extensively stocked Wein Und Spirituosen Center at Tegel – a handy 5 minute walk from the marvelous public transport network Alt-Tegel U-bahn station. Very friendly staff guided me through their German Whisky range which included tasting a few samples from bottles the shop already had opened for customers to try. 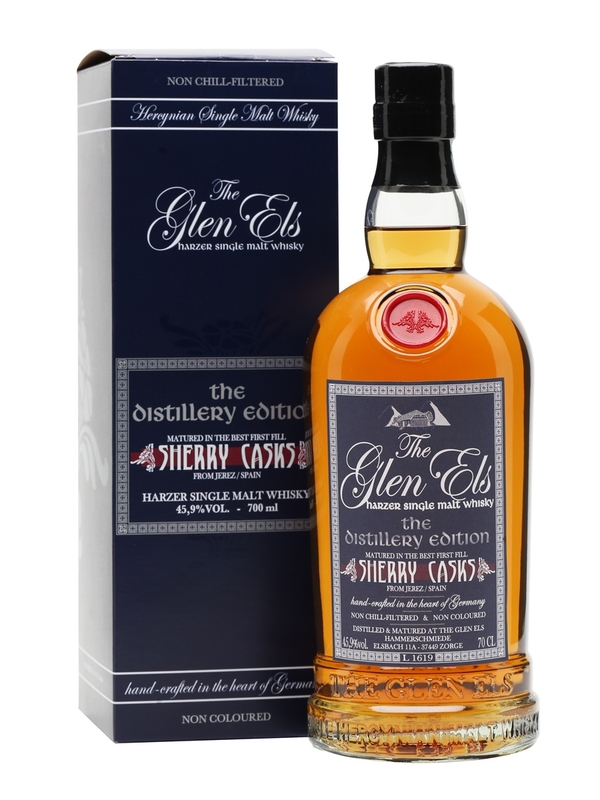 A glass of Glen Els Sherry Cask was tried. 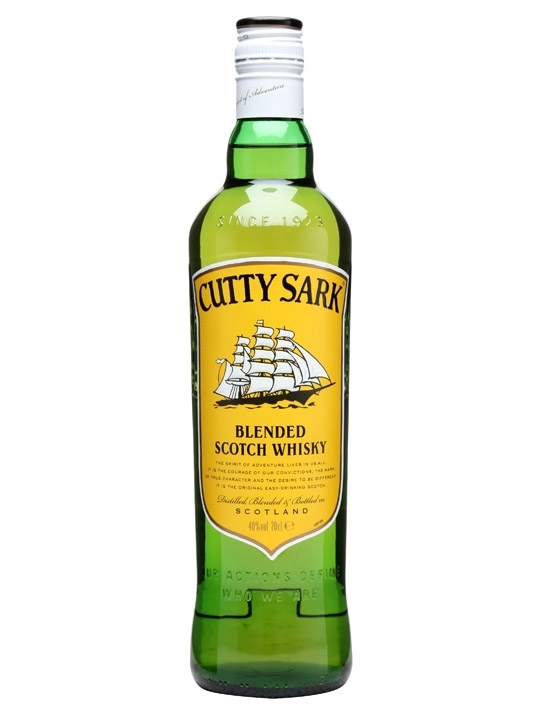 Now normally a sherry finish floats my boat – but I found this somewhat lacking – maybe not enough sherry for me? Slyrs Single Malt provided a much more enjoyable experience. 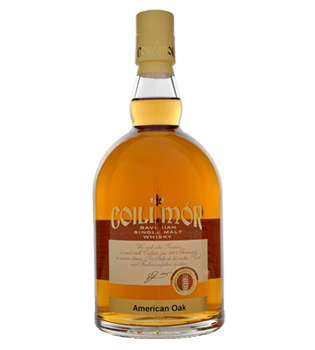 Aged in new American White Oak casks this 3 year old gave a lovely woody aroma with a pleasingly smooth taste for it’s youthfulness. No wonder it has gained awards! An interesting bottle caught my eye so I requested another sample. 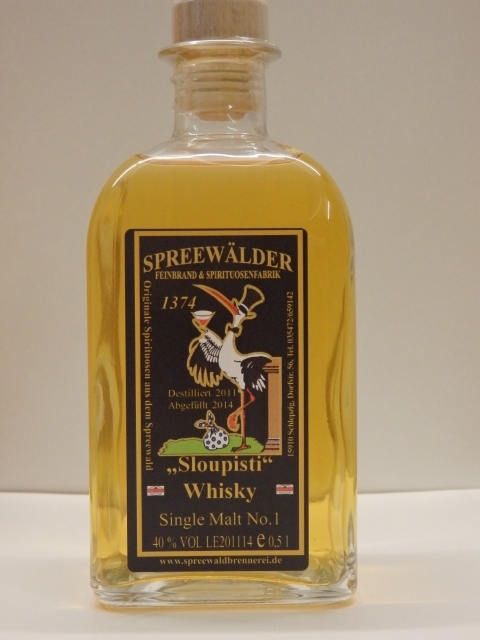 The intriguingly named Sloupisti from Spreewalder proved to be an equally fine dram. Loaded down with my booty I ambled down to Greenwich Parade where The Fisherman’s Restaurant have an outdoor picnic area. I indulged in Fish ‘n’ Chips delightfully overlooking the Tegeler See in the bright sunshine! 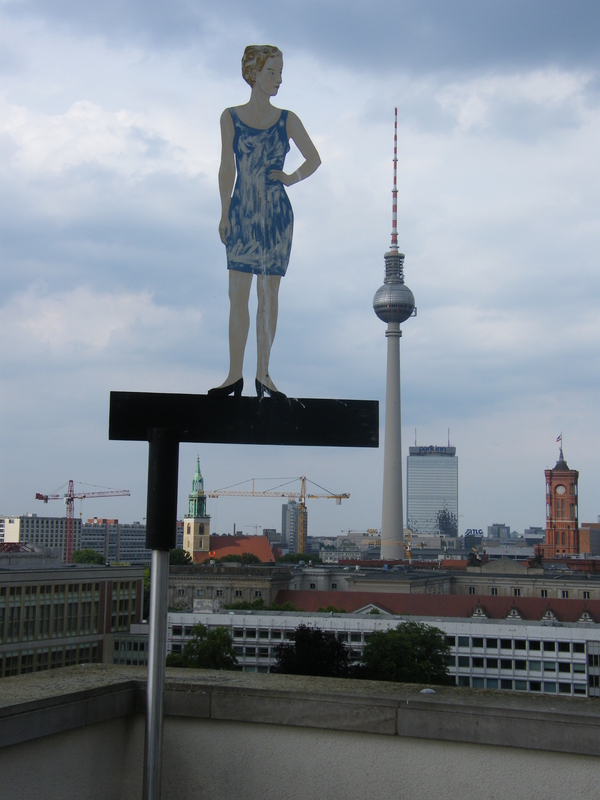 After meeting up with friends and been shown round the German Foreign Office enjoying fabulous views of Alexander Platz from the balcony – it was off to Berlins only whisky distillery. 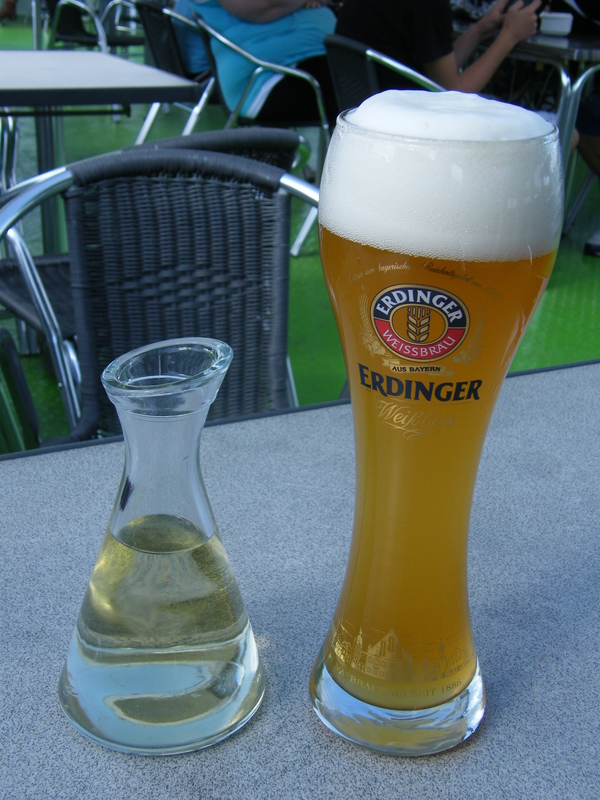 Eshenbrau in Wedding was a fantastic place where many beer and whisky enthusiasts congregate in the outdoor beer garden set in the middle of a housing scheme to enjoy the beverages made only a stone’s throw away. They also served lovely flammkuchen to soak up the alcohol! A fine range of beers are available all year round with seasonal brews regularly alternating on the menu. They have also started whisky production which I was eager to sample. 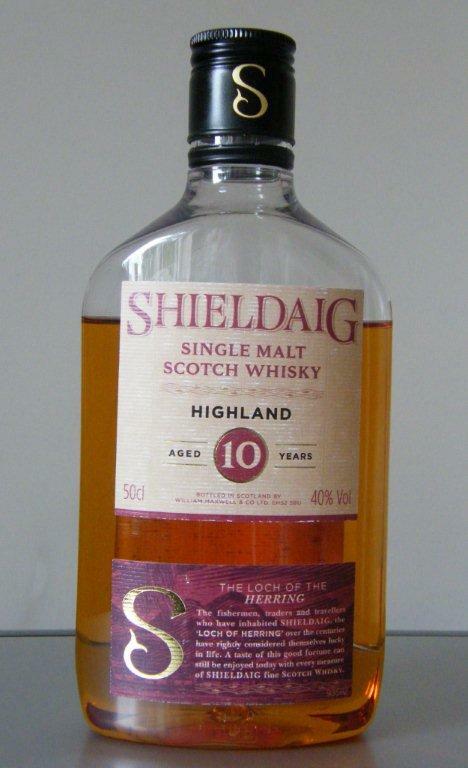 Amber – aged in Spessart German oak for a truly home grown product. All of them were pleasantly quaffable with a hint of youthfulness but the Amber finally came out tops with rich woody notes and a slightly smoother finish. 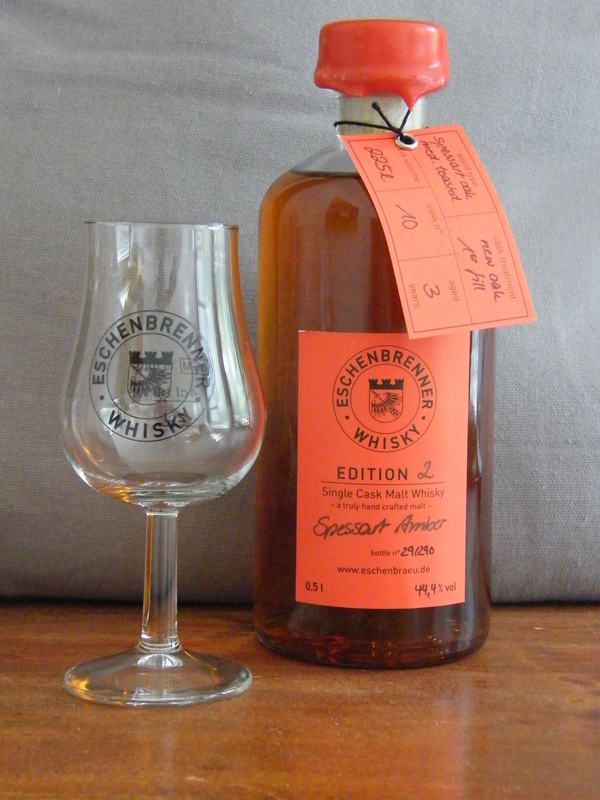 As the only venue to buy this whisky is at the distillery I duly bought a bottle – as well as the lovely tasting glass. 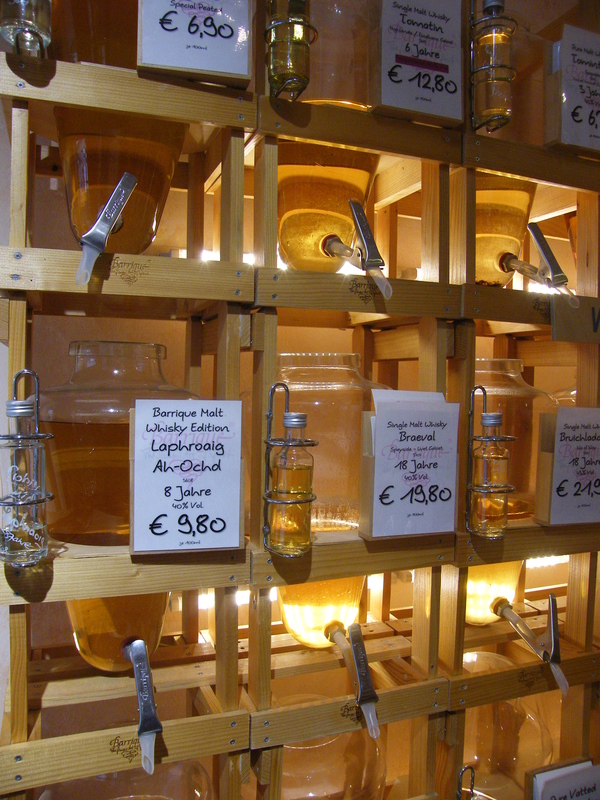 For whiskey fans Germany has much to offer. The sheer number of whiskey distilleries produce a vast array of styles, finishes and malts that match that of Scotland in terms of taste and quality – although volumes are small by comparison. 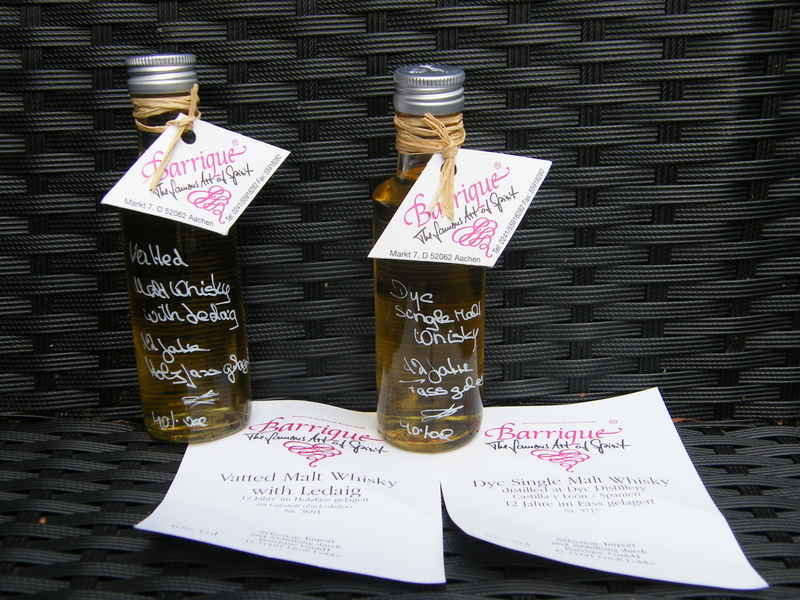 Independently family owned or craft distilleries are the order of the day supplying local markets so expressions can be hard to track down – but from my experience well worth the effort. 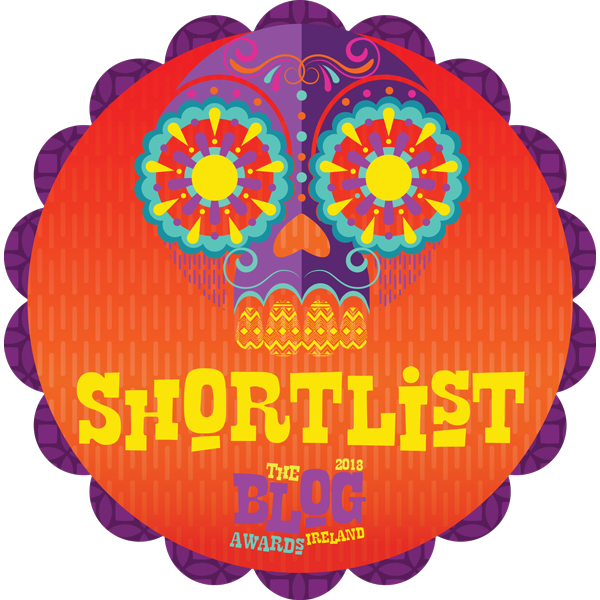 Go on – try a German Whisky – 3 outta of 4 ain’t bad – to mangle a Meatloaf lyric! Whisky – An alcoholic spirit made by distilling grain. Berlin – The German capital city. Distillery – A factory that makes distilled alcoholic spirit. 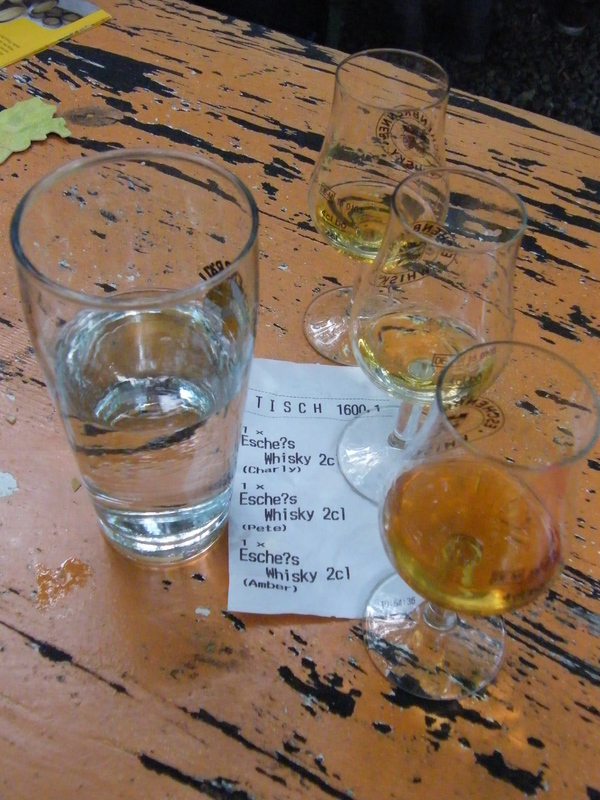 Eschenbrenner Whisky Distillery – A whisky distillery in Berlin. I visited this distillery back in 2015. Situated in the Wedding district to the North of the city this micro distillery & brewery is nestled in the central gardens of apartment blocks. We found it difficult to get seated as there were many happy punters from far & wide who had come to sample the wonderful whisky , beer & tasty flammkuchen that are only available at the premises. I tried 3 of the whiskies on offer. And enjoyed them all very much. At only 3 years old they were delightfully youthful, fruity & light – but with a nice woody influence. The distillery continues to release various expressions and now has 5 year old bottlings to enjoy. Do yourself a favour & pay them a visit when in Berlin. You have to go there to sample the produce. Taking advantage of the european whiskies on offer I also sampled a Swedish Whisky – Mackmyra First Edition – another great find. The rest of my time in Berlin was taken up by the more normal tourist spots – but I was impressed by the range of Irish, Scottish and American whiskeys available in nearly all the restaurants and bars we entered. 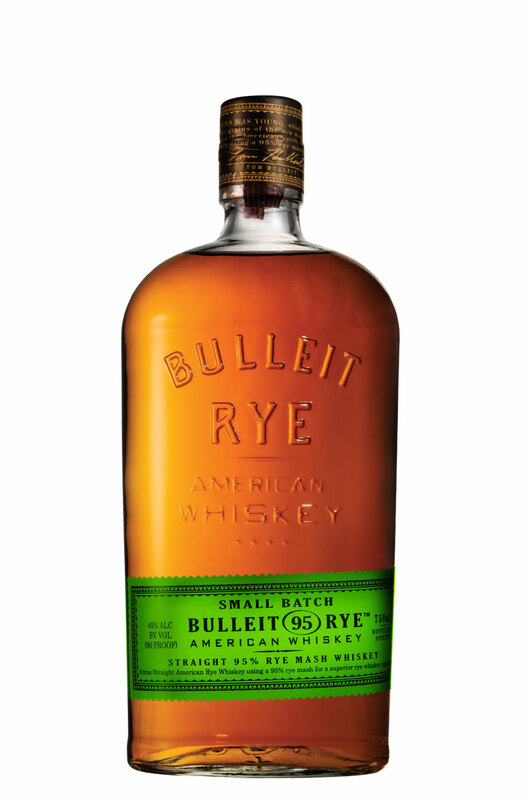 I took the opportunity to try out a Bulleit Rye whilst dining outside in the trendy Prenzlaur Berg area which despite being a little sweet in comparison to the German expressions – I enjoyed very much.